…and by “sip” I assume Sam means kegstands with beer and wine straight from the bottle, and by “snack” she means stuffing your face with greasy food straight from the back of a pub. Anyway, aside from plugging my own book club (did that come out right? ), I thought I would use this opportunity to highlight the awesomenesss of book clubs. On top of meeting new people (hopefully), being in a book club means you have an excuse every month to rip it up while discussing pretentious subjects like art, literature, the art of literature, and literary art. Oh, and artistic literature, too. 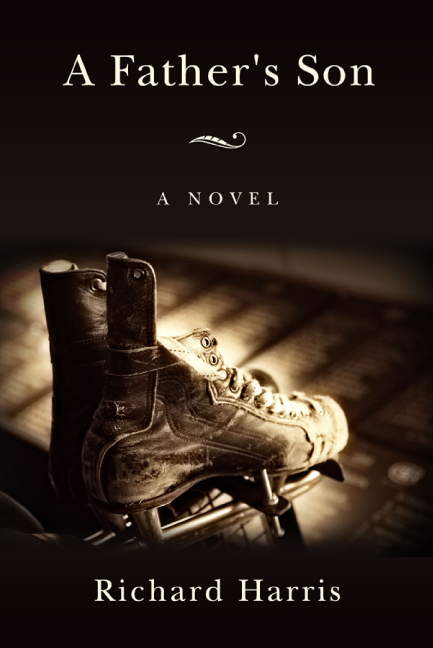 I started this book club, Curling Was Full, in August 2009 and I’m proud to say we’re still going strong. Members have come and gone (there are only an Original Three left), but we always seem to have more requests for membership than we can handle. No surprise, then, that when Random House (before it was Penguin Random House) had a book club contest called Books Are Beautiful, we won! Actually, we finished in second place (we all received a copy of Jowita Bydlowska‘s Drunk Mom) to We Don’t Bake Muffins, but I’m still convinced the contest was rigged. 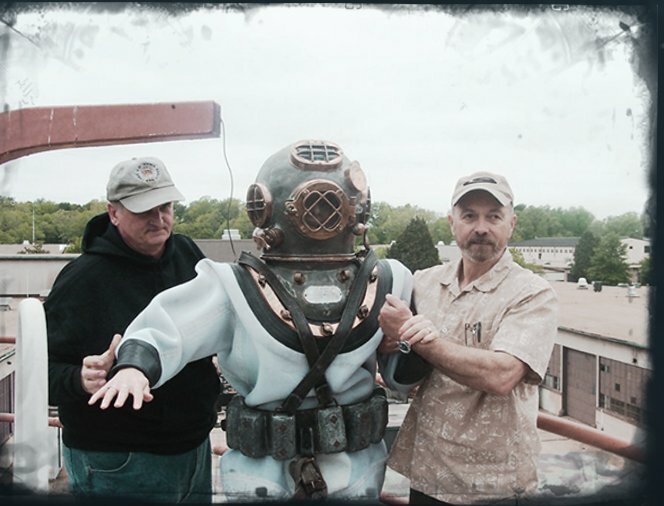 Something about screeching the judges and kissing a cod, I’m told. Long of the short, though, if you’re not in a book club, start one. If you are in one, lament the fact that you’re not in Curling Was Full because, well, we’re full. I’m currently reading Jennifer Egan’s follow-up to her Pulitzer Prize-winning novel, A Visit from the Goon Squad, itself a fantastic read, and am enjoying it very much. I’ll save my final thoughts for a full post later on, but it’s a slow, meditative story, not unlike Blade Runner as a film, and a welcome change of pace in an otherwise crazy day of pressing deadlines and a near-ubiquitous now now now culture. In the quote, the father-in-law, a banker, is talking to his son-in-law, a gangster, at a pivotal point of World War II (and the book – surprise, surprise). What’s great about timeless literature – or art for that matter – is that it never goes out of style. The above little talk from Arthur could be about so many different subjects, and yet the ultimate message rings true in each and every one of the cases, just as it does throughout history. There was one more quote I was thinking of using from this book, a much shorter one, and I think I’ll include it here to end off this piece. P.S. Today’s picture is of Jennifer Egan in full “battle dress” for the book. Loved, loved, loved this book! 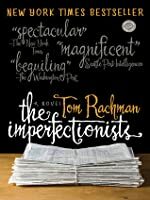 British-Canadian-Man-o’-the-World author Tom Rachman really hit it out of the park with his debut novel, The Imperfectionists (2010). One of the Golden Rules of Writing – as opposed to the “26 Golden Rules for Writing Well” – is to write what you know, and Mr. Rachman(inoff), like a skilled pianist tickling a set of ivories with nimble fingertips that are a natural extension of his hands, did exactly that with a motley crew of characters who were mostly holed up in Rome, Italy. As with Jennifer Egan’s A Visit from the Good Squad and Kent Haruf’s Plainsong, the numerous “short stories” which make up the novel are very much interconnected. Our job as readers is to connect the dots; Mr. Rachman’s job, as the puppet master, was to spin a series of (in this case journalistic-related) yarns, one after the other, and have each one be strong enough to stand on its own. Just like the title of the novel suggests, the story is rife with flawed, imperfect, screwed-up misfits – and that recipe for literary deliciousness comes across as nothing short of thoroughly engaging and believable. Set around a fictional International Herald Tribune-esque newspaper established in Rome by an eccentric millionaire named Cyrus Ott in the 1950s, right up until its demise half a century later, we’re taken on an unforgettable journey through newsrooms and bedrooms, bylines and deadlines, all the while nodding our collective heads up and down and thinking, That’s so true! Summer, as some believe, may be the season for light, fluff-driven literature, but if you’re looking for a quick read that is sure to keep you turning the page with its countless nuggets of insight into the human condition, go and get yourself a copy of The Imperfectionists right now.